Time that is gone and a website that is hacked are both gone forever. There is never a comeback. Except in cases where you are lucky and the hacker is careless. But, why risk such tragedies? Why not secure your eCommerce website well before you have someone knock all over your data and make it public. Sounds tricky? Not much. It is easy to turn your eCommerce website into a digital fortress with time-tested and proven strategies. We bring to you some such time-tested strategies that security experts swear by as flawless ways to secure an eCommerce website, or any website for that matter. Let’s get started. First and foremost, a building is only as strong as the foundation it is built upon. Even strong buildings that are built on loose sand get buried too quickly. So do eCommerce websites that are hosted on insecure platforms. 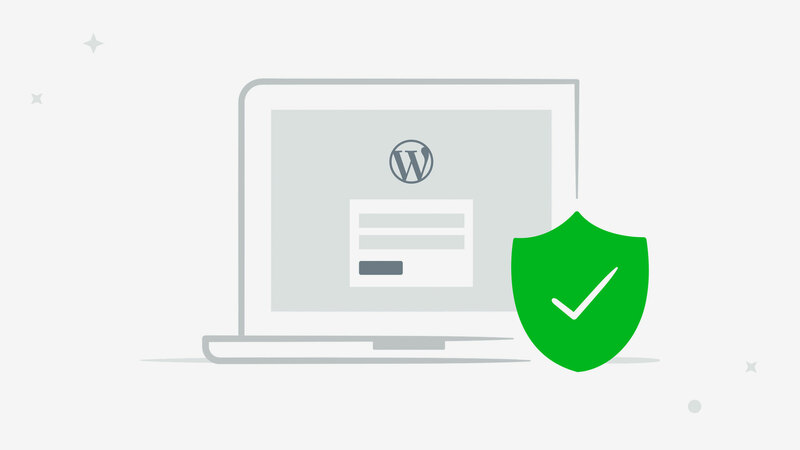 Even the world’s most popular CMS (Content Management System) platform like WordPress has security vulnerabilities. eCommerce platforms like Magento, Drupal, Prestashop all have displayed security vulnerabilities in the past too. While one cannot be certain to find a perfectly secure eCommerce platform, it is always possible to secure the platform by plugging the leaks. It is only when the admin’s credentials are secured can we proceed to secure the credentials of rest of the website and its users. The safety of customers need to be ensured in two critical pages – the login page and the checkout page. The other pages are also equally important. But, these two pages weigh the most in need for security compared to the rest of the website. Consider using a SSL certificate or a strong encryption method to keep the inputs from being intercepted by a user. Also, ask customers to set strong passwords that contain a combination of alphanumeric characters. If possible, go a step ahead and set a time limit, say, like 3 months after which users will have to reset their passwords. This will prevent any third party from gaining access to the user’s account even if an old password is leaked. SSL, which stands for Secured Sockets Layer is a form of encryption. TLS (Transport Layer Security) is the updated version of SSL. Google, WordPress and almost every imaginable CMS platform has already moved to the SSL/TLS platform. SSL encryption gives maximum security for a website by encrypting the data that passes between two sides. It takes the role of a safety tunnel that insulates the data from being accessed by hackers or anyone. Only those who possess the private key can gain access to the data. RapidSSL Wildcard certificate is a perfect fit for enterprises with closed networks, eCommerce websites, banking and financial institutions or anyone who handles sensitive data over subdomains. If you cannot afford to lose it, don’t store it. I mean sensitive data. What constitutes sensitive data? Your customer credit card numbers, their personal information, your company financial records and similar organizational data all constitutes sensitive data. These data in the wrong hands can wreak havoc for your reputation and your business future. In the eCommerce industry, trust once lost is hard to regain. So, be careful with what you store online. Ensure maximum security for your customer data by storing it in offline data centers which hackers cannot enter through networks. Your data security is only as good as the number of times you patrol it. How do you patrol your data? Through regularly timed vulnerability tests. There are several security programs available in the market that help run and maintain automatic vulnerability tests. You can also schedule to run these vulnerability tests at night or when you are not working on the system. These automated vulnerability tests can run on their own and populate reports when anomalies are found. Like perishable items, security updates also go obsolete over a period of time. That is why it is essential to update the CMS platform or your eCommerce backend as and when an update is released. Should you do it manually? Not necessarily. CMS platforms like WordPress (which owns WooCommerce), Magento, etc. come with automatic update which will help you keep your platform updated at all times. These updates majorly consist of security fixes for loopholes in previous versions. So if you are running the previous version, chances are high that you will fall prey to a cyber security attack sooner or later. Running an eCommerce website is guarding a bank. Even the slightest loophole can lead to a record heist by hackers. Recent security trends suggest that hackers are getting better at their art with an unstoppable momentum. If you fail to take precautionary steps to protect your eCommerce website now, there is much to lose. These security tips can help you secure your eCommerce website and turn it into a digital fortress that no hacker can so easily creep into. Even if they manage to gain entry, you vulnerability tests should warn you to close the gaps. As an extra step of security, don’t forget to take backups of your website data. Having regular backups of your data will help you spring back to your feet even if the worst case scenario takes place. With regular backups, your organizational data as well as your customer data will remain safe from the reach of hackers. Have anything more to add to our list of eCommerce security tips? Let us know in comments.